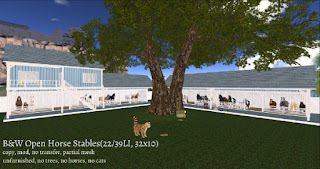 The size of my horse herd have grown big and my little parcel is now a stable! Not a surprise. And with that, I have made a proper stable for them. And so, B&W(as in Blue & White) Open Horse Stables was built. A view of stable2 with the upper room and balcony. View of the inside of stable2. 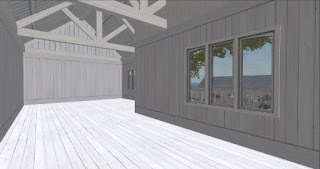 View of the inside of stable1. I made the B&W Open Horse Stables specifically for my ABC horses. 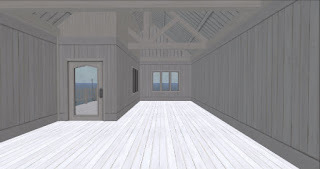 First came Stable1 which I tried my best to keep it low prim and 22 prims was the lowest I could go without compromising on it's style. Then I realised that I also needed a small place for my avatar. Thus came the small room above Stable2 which can also be an office. I've included a rezzer for both stables combined but not for each individual stable. Each stable has a 32x10 base. They are modifiable, copiable and no transfer. Some scripts are no mod. 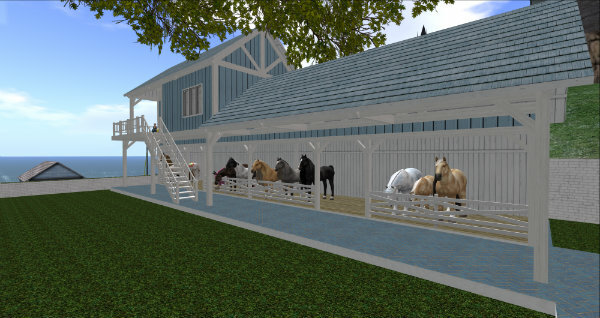 The B&W Open Horse Stables is now available for 189L at my in-world store and the Marketplace. Please see the demo of the stables at my in-world store.